“Making the beautiful thing”; this was the theme for the EuropeanaTech 2015 Conference in Paris at the National Library of France on February 12 and 13. But what is the beautiful thing? Most people would say that art, paintings, photographs, stories and sculptures, are beautiful things. Though this is true, this was not a gathering of artists – at least not in the traditional sense. 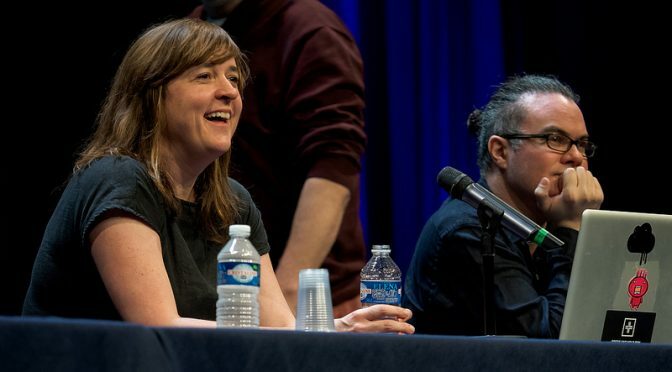 EuropeanaTech 2015 instead brought together a crowd of expert developers, innovators, and technical pioneers in the field of digital cultural heritage. The beautiful thing they are united in making? Meaningful interaction between the public and their cultural heritage. And, as Tim Sherratt from Trove reflected, it’s “an ambitious undertaking”. The conference themes ranged from data quality, data modeling, re-use, multilingualism, open data/open source, discovery, and the influences on ways people interact with digital heritage. We cannot dictate their experiences, but we can make them as rich as possible.For an audience of back-end developers, however, such a conclusion might not seem obvious. Yet, during his keynote on Thursday, Andy Neale from DigitalNZ raised a very valid point: don’t leave your end-users to the marketing and front-end teams; keep them in mind every step of the way. Tim Sherratt wants to call the users who help improve the OCRed texts found on Trove “discovery engineers” not “volunteers” or “contributors”. Why? Adding an enrichment to digital assets not only improves the front-end experience, but makes the back-end run faster, enabling better connections between items. Trove knows OCR is not perfect, but believe that this should not inhibit publishing. Andy Neale, meanwhile, openly declared that the quality of metadata on DigitalNZ varies greatly in quality, but they still choose to publish. Chris Welty from Google Research stressed how vital metadata quality is and how necessary data is for the future of cognitive computing. But despite Google’s astounding accomplishmentsin this area, Welty highlighted that the public have come to accept that results from algorithms based on machine-learning are not perfect. As he underlined, with innovation, two thirds of the project will fail, no matter what. We’ll call this rule “publish first, fix later”. The takeaway is that institutions shouldn’t hide their data or developments: the public are understanding and happy to help. Seb Chan from Cooper Hewitt, Smithsonian Design Museum said “search is a niche solution to a broad problem” and he was quick to admit the poor data quality at Cooper Hewitt. Is it poor though? Their data, as Chan points out, is structured in a way that humanises it moving away from standard metadata formats and presentation. Chan also observed that “people don’t go to a museum to perform a search” so why should this be a key issue for digital platforms like Europeana? In a keynote given on the final afternoon that chimed with Chan’s,George Oates from Good, Form and Spectacle asked a big question: How does one make a digital space feel like a public space? 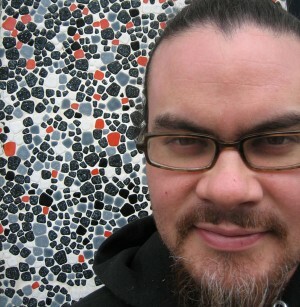 Oates, who was responsible for the design of platforms like the Internet Archive’s Book Reader and Flickr Commons is well versed in facilitating interaction between the public and culture, and ensuring that the public gains as much as possible during digital encounters with cultural heritage. She declared that she no longer wants or needs a search box, but instead longs for better pathways and more help navigating through the huge amounts of data and art already available. This is exactly what Europeana will achieve with the new Channels feature and the Content Re-Use Framework that Europeana’s Bram Lohman presented in Paris. Both of these features will make it easier for the public to find high quality, enriched, and freely useable content. EuropeanaTech 2015 focused a lot on the future. This is a bit paradoxical for a group of people from “memory institutions”. In the words of Seb Chan, “memory institutions are pretty good at forgetting what they did before”. During the open data/open source chef’s table, there was a strong discussion on the future of data and software in the cultural heritage sector. The need for documenting past work as thoroughly as possible and making current work highly visible arose as a major priority. It’s cliché, but archivists and historians know that preparing for the future relies on the past. There’s things we can do to enable this. On Friday morning, ways the EuropeanaTech Community can make their work visible to the Europeana Network were presented. These include the “Who’s Using What” column to share software developments, favorite tools, and plans for the future; the #FLOSS Inventory, a catalogue for finding relevant tools to help expedite technical development, and the new EuropeanaTech Insight, a multimedia publication about R&D developments by the EuropeanaTech Community. These three outlets allow the community to make use of past knowledge and work, engage in current undertakings and make plans for future ones. EuropeanaTech also offers the opportunity for task forces to investigate, solve and improve challenging aspects the community faces. Learning from and building upon the past means accepting failure. This interesting paradigm was presented by Chris Welty from Google Research, and he stressed the importance of experimenting, assessing, failing, and trying over and over again until you find that “golden nugget”. This raises some potential challenges for EU-funded projects, which, by design, seek to limit the risk of failure. Does this mean they have to be less progressive and innovative? The EuropeanaTech conference itself provides the answer here, demonstrating that Europe has no shortage of good ideas. Though there is always room for more innovation to be stimulated, this can be achieved by catering for bursts of free experimentation, for instance with events like the LoCloud hackathon held at the Google Cultural Institute in Paris the day before the conference. A lot was packed into two days, and every corner of technical development in digital cultural heritage was touched upon. All of the participants took away something different. Yet what everyone came away with was the shared commitment to identifying and discussing the big problems ahead, and a spirit of bold positivity was enjoyed throughout. Better quality data, improving means for public access, interaction and experience, building upon the past by sharing, learning from failure, and empowering individuals and local endeavors might be the main things I’ve come away with, but we want to hear everyone’s after thoughts. To hear what others gained from the two days, be sure to read their blogs here. ‘Natively Speaking‘ by Sarah McSeveny-Årils (Scroll down for English version). ‘Six themes from Europeana Tech‘ by Alastair Dunning. ‘Tech + Creative (almost) meet at Europeana Tech‘ by City Insights.